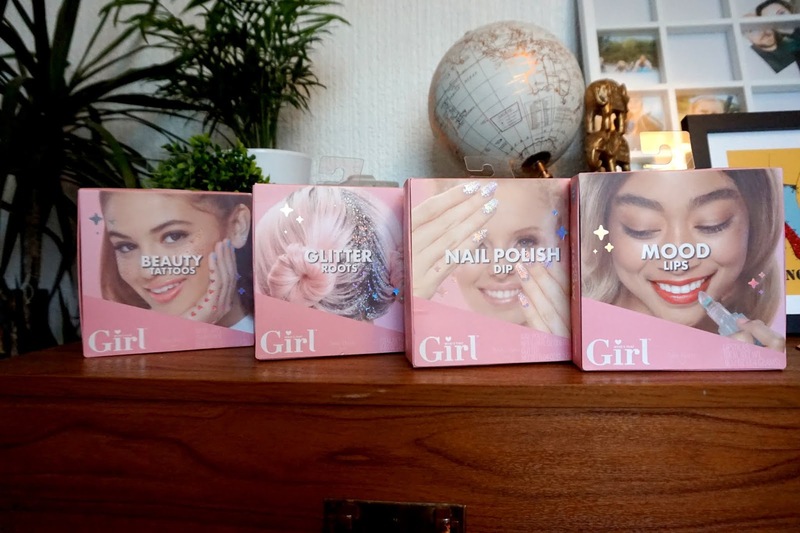 If you have a child that is 6+ and has an interest in glitter, fake tattoos, makeup and anything beauty related, then they will love the new range from Who's That Girl. 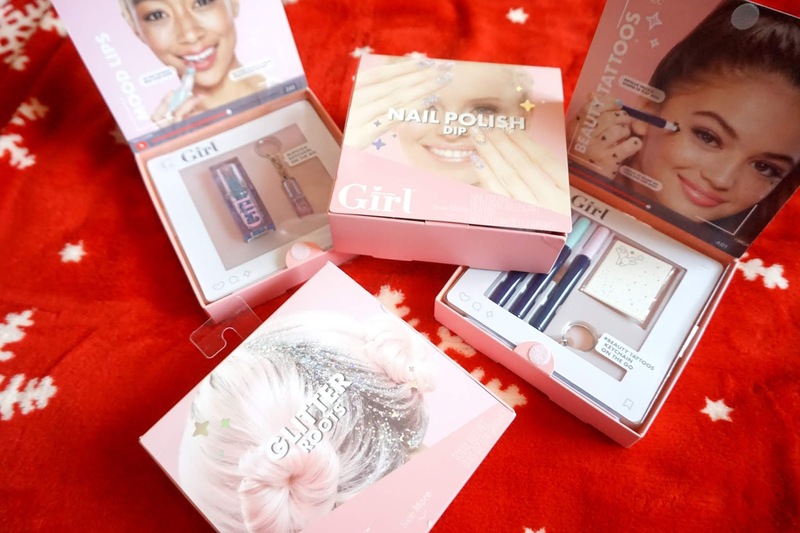 Who's That Girl have a great range of beauty products aimed for young tweens. 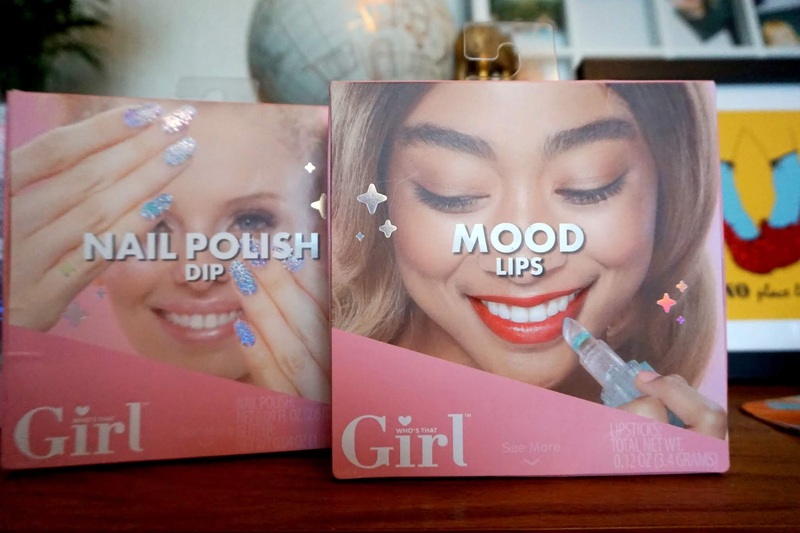 They have a great collection including Who's That Girl Dollface, Glitter Nails, Mood Lips and much more. We were kindly sent some to share with you all and here's what we received. The first thing is Who's The Girl Glitter Roots. This product is super cool, and I'm sure all young tweens will love this. Who doesn't love glitter?! Make them festival ready or party ready with sparkly hair. It's super easy to clean up, so no mess. Not only that but you can mix and match different colours too. Secondly, the Who's That Girl Mood Lips are a must have! They are a clear lipstick with a hidden surprise. The surprise is, when you apply it, the lip tint changes to match your mood. There are different colours to choose from, great for trying with your friends too. Most girls love to add a bit of colour or bling to their nails, this Nail Polish Dip is great for that. All you have to do is polish your nails with the clear polish provided, then dip them in the nail glitter. All the sparkles! You can also mix and match all of these to make your very own unique nail styles. The last thing I received was the Beauty Tattoos set. These tattoos are washable, which are great for young tweens. They are in super cute shapes, and you can mix and match them too. This pack includes the Heart, Moon and Star stamper pens, along with a sheet of metallic freckle tattoos. Your young tween will have tonnes of fun with this set. These are great gifts for young tweens, whether it's a special occasion such as a birthday, a treat or Christmas time. There are more products available from Smyths, Argos, The Entertainer and all good independent toy retailers. All Who's That Girl products are suitable for ages 6+ years. * We were gifted these items, in return for an honest review.